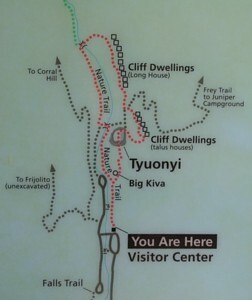 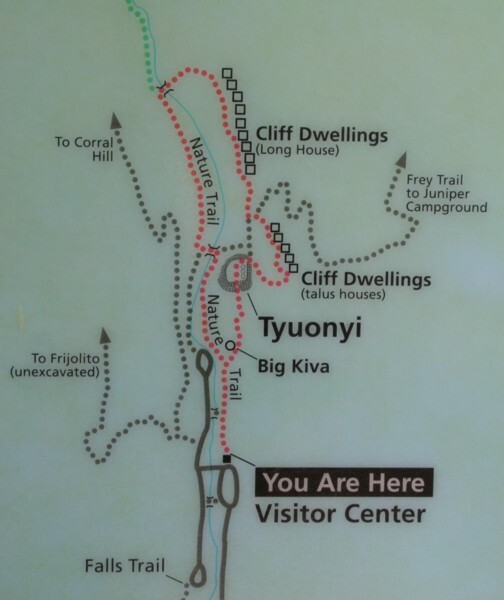 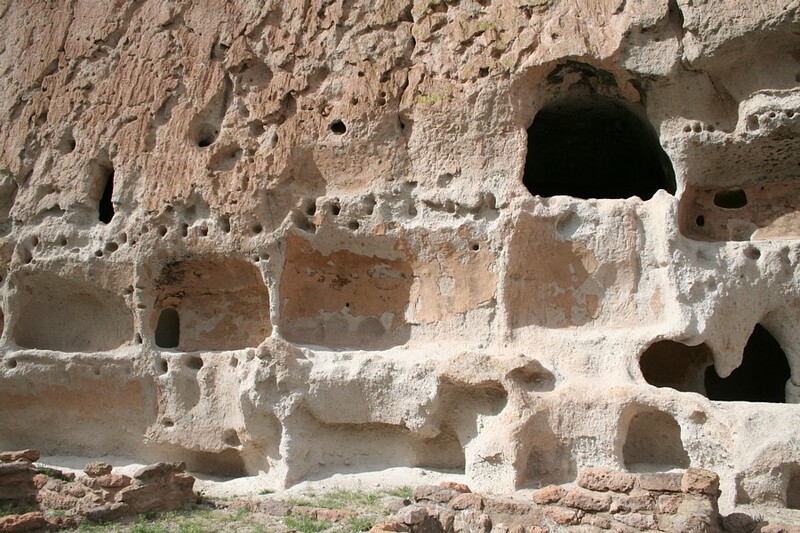 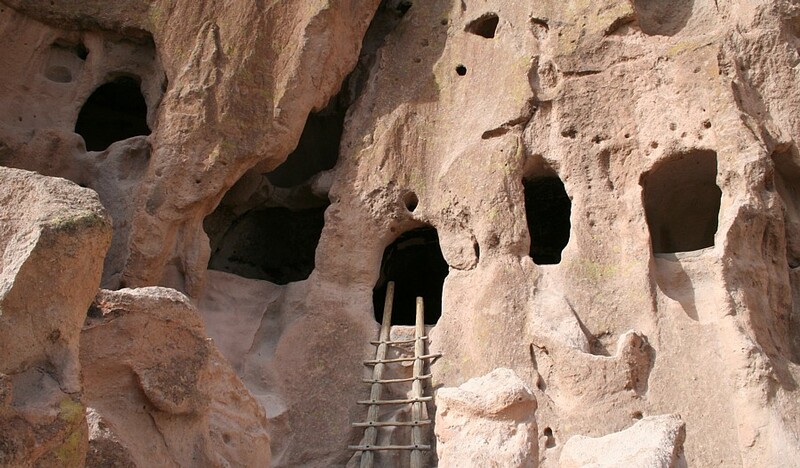 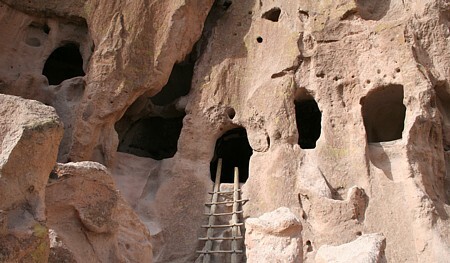 Rock-cut cliff dwelling rooms in Bandelier NM. 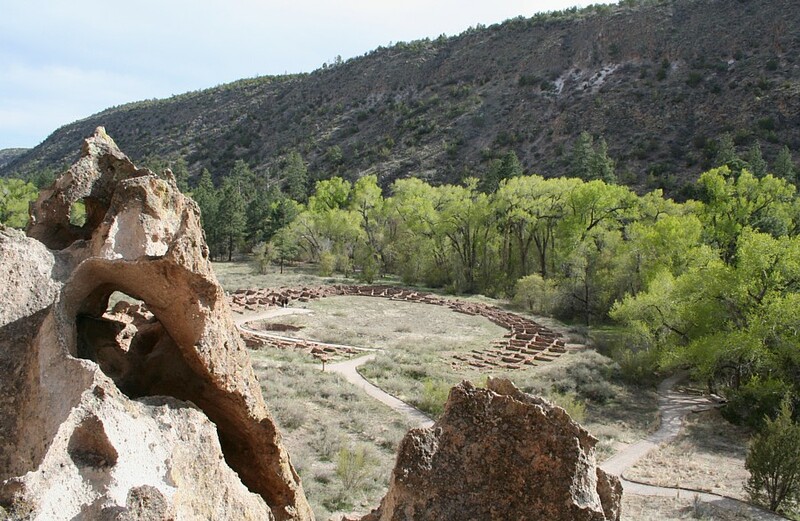 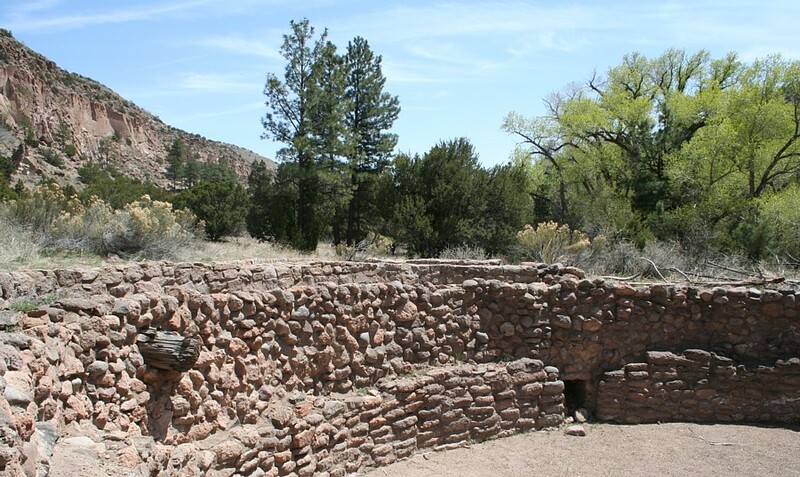 Tyuonyi Pueblo in Frijoles Canyon, New Mexico. 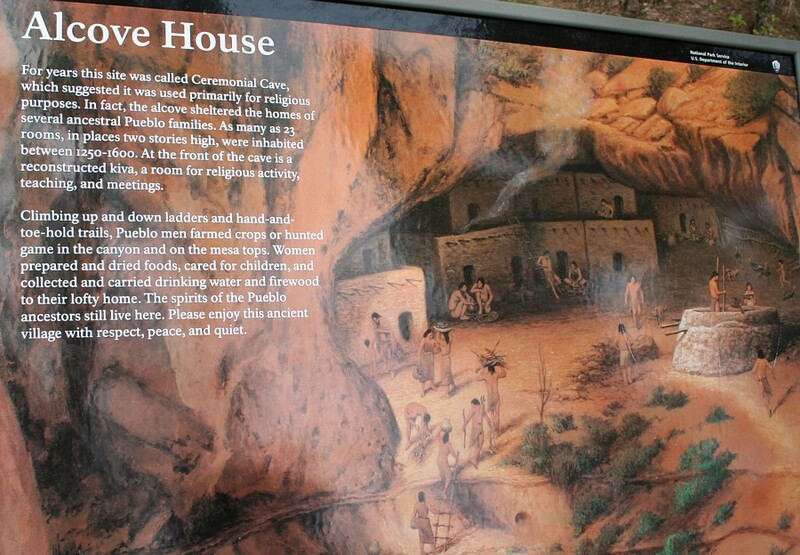 Puebloan dwelling rooms cut into tufa cliff. 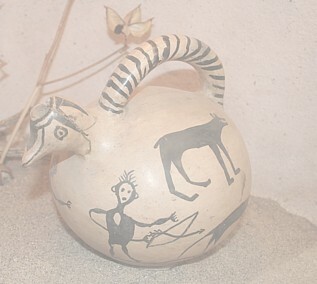 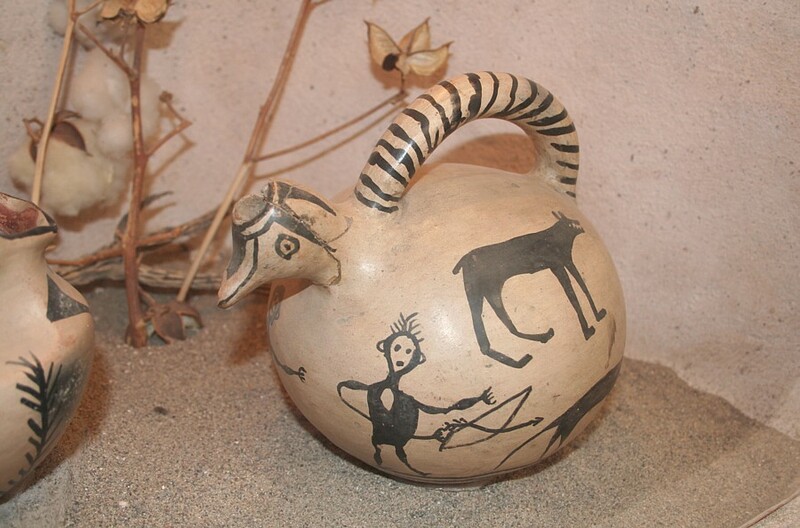 Effigy pot in the Museum interpretation.